If you are interested in starting a small business and wondering which sector would lead to a profitable venture, consider making plastic bags. There is no dearth of plastic bags around us. They are used for packaging and carrying items. They are being used by the smallest store to the biggest shopping malls. They are used all over the world, so regardless of where you are located, it would be a good business. An extruder machine is used in this step which heats the polyethylene plastic at 500 degrees F. This causes the pellets to melt, which are then put into the machine and die to determine the thickness of the plastic bag. The second step involves cutting of the plastic bags in desired sizes. Handles are made, if necessary. After this, printing is done where the plastic bags are put into the printing machines. The plastics bags can also be given the required textures. In the last step, plain rolls or printed ones are put into the plastic bag making machine. There are several options available, such as slits, holes, handle punching, zip locking, header sealing, vents, etc. You can choose the desired function and complete the step of bag making. 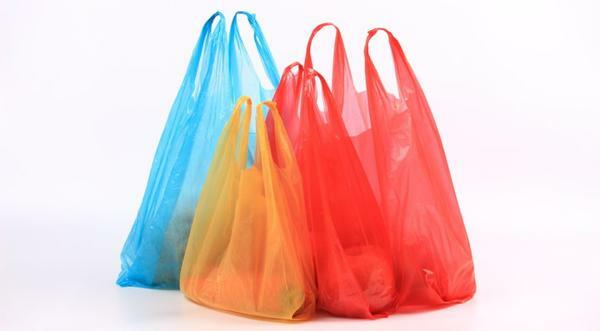 You can find myriad types of plastic bags in the market and there are several ways they are used. Therefore, it is important that you decide which kind of plastic bag you want to manufacture. Choosing a niche is critical for the success of your business — you may either produce simple carrying bags, printed bags or others. Doing a thorough research before starting any business is critical and it is no different for the plastic bags business. You must determine manufacturing which type of plastic bag would bring higher profits for your company. Study the demand, current availability and competition. Understand how your competitors are running their business and if you can create a dent in the market space with your product. Additionally, do a thorough research to determine how much capital you need to start the business along with the required machinery like plastic bag machine and supply of raw materials. Once the research is done, you have to create a well-researched business plan. If you cannot do it on your own, take the assistance of a professional who has the experience of preparing business plans. It should contain specific details of your business and elaborate on different things like the type of business, production details, operations, etc. You also need to mention what all steps you would be undertaking to make your business a success. One major advantage of having a well-crafted business plan is that it proves to be helpful in getting financial assistance from the banks. Some expenses that your business would incur include rents or leases, labor costs, raw material, etc. Figure out the total amount of capital you would require to begin your plastic bag business. You can arrange for this capital or a part of it by taking a loan from the bank after submitting your business plan. Registration is a critical step as plastic is involved in the manufacturing process. You need to follow numerous guidelines along with restrictions. Therefore, before finalizing your business, it is important that you find out about every step in the registration process in detail due to the sheer number of restrictions that are involved. Once you are ready with all the knowledge required to set up the business, you are good to go. In the bag making business, the sky is the limit! Mohan Naik oversees the digital marketing for XL plastics, a leading name in the field of plastic converting machinery. On a mission to help entrepreneurs make a high quality choice that delivers value, Mohan efficiently turns even the most technical topics into interesting and engaging content that even a layman can comprehend. He writes to educate his audience and skillfully uses marketing to incite interest even in the most passive of readers. He stays updated with the latest trends and innovations in the industry and is quick to share that with his readers.